For the GC3, year-end has always been a time of strategizing and planning, but this year has been exceptionally busy because we are growing and evolving in several important ways. Most importantly, we are undergoing a strategic planning process, in which we will be engaging with GC3 members and other stakeholders to further define the GC3’s niche, priorities and optimal organizational structure. Ultimately our goal is to significantly increase the GC3’s impact in driving commercialization of green chemistry solutions. Another exciting development is that we recently finalized an agreement with the German-funded International Sustainable Chemistry Collaborative Centre (ISC3) to extend the GC3 Startup Network throughout the Americas by creating an ISC3 Americas Innovation Hub. Our Collaborative Innovation, Retailer Leadership Council, and Startup Network projects have ambitious plans for 2019 and we are planning an exciting GC3 Innovators Roundtable in the spring. On the advocacy side, the GC3 Sustainable Chemistry Alliance is recruiting new members and assessing post-election changes in DC as we plan our policy agenda for the next session of Congress. Sadly, I'd like to note the passing of Richard Cottrell, formerly of Sysco and Christ Supplies, who was one of the founding members of the GC3. Richard was a true gentleman who had a grand yet pragmatic vision, cared deeply about people and the planet and believed in the GC3 and its mission. I will miss our many conversations about safer chemistry and life. Thanks to Richard for his many contributions to the world. Looking forward, we are optimistic about 2019 and beyond, with many opportunities to accelerate green chemistry innovation and adoption. We look forward to engaging with you along the way! Gaurab Chakrabart, MD, PhD, CEO, Solugen, Inc. 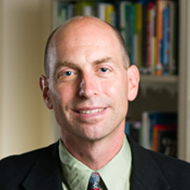 In this webinar, Nouryon presenters will provide an overview of the Imagine Chemistry program, how it works, and debut the details on the challenge areas for the 2019 challenge. Solugen, a previous winner of the challenge, will present on their experience with the Imagine Chemistry program. Nouryon, formerly AkzoNobel Specialty Chemicals, is a leading specialty chemicals company. Its company purpose is "to be your partner in essential chemistry for a sustainable future." The company's success has been built on strong partnerships and it believes that collaboration is key to future success. Imagine Chemistry is part of a set of open innovation activities at Nouryon, designed to form links with startups and scaleups, create valuable partnerships, and identify sustainable business opportunities for the company. Imagine Chemistry is a co-development partnership; the program and the on-line platform give innovators the right access, acceleration and means to develop their concepts and spread them across the world. 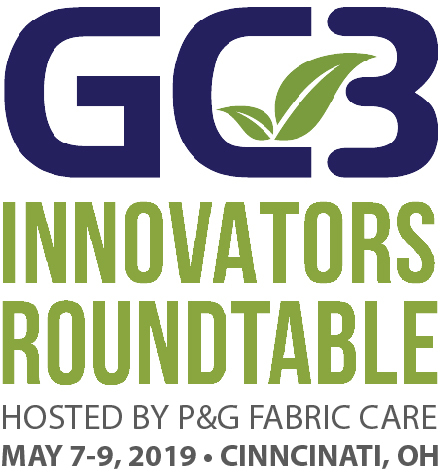 The 14th Annual GC3 Innovators Roundtable is hosted by Procter & Gamble, NA Fabric Care and will be held May 7-9, 2019 in Cincinnati, Ohio in the corporate meeting space at the Great American Ball Park. The GC3 Innovators Roundtable is a dynamic forum for business leaders to exchange strategies and best practices on how to accelerate green chemistry innovation and adoption, and to network to form new partnerships and collaborative projects. The Roundtable presents a unique opportunity for businesses to connect across supply chains and sectors. GC3 members and non-members are welcome to attend. Registration will open in winter 2019. We are very grateful to P&G, NA Fabric Care for hosting our flagship event, and to these additional companies that have signed on as sponsors: Steelcase, The Dow Chemical Company, New Balance, Hohenstein Institute America, ToxServices, and Novozymes. Please contact us if you're interested in any of our sponsorship opportunities! Sponsorship offers your company an opportunity to demonstrate its commitment to green chemistry and raise its profile as a leader in sustainability to customers, suppliers and other stakeholders. Following a series of visits with Senate offices, the GC3 Sustainable Chemistry Alliance (GC3SCA) members showcased a myriad of product examples at the Sustainable Chemistry Product Expo at the Capitol Visitors Center on September 27 in Washington DC. 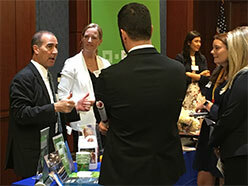 After months of lobbying and building awareness of the GC3SCA on Capitol Hill, the Expo brought the breadth and depth of sustainable chemistry products to life for policymakers. Staffers from key congressional offices learned firsthand about the exciting innovation underway in this field. Eight companies (BASF, Beautycounter, Cargill, Dow, Novozymes, P&G, RB, and Steelcase) featured an extraordinary range of products, from asphalt road surface and fuel additives to personal care and cleaning products to chairs to prosthetic limbs to children's toys. All the products provided tangible evidence of why the GC3SCA advocates for policies to promote the development and adoption of sustainable chemistry. We plan to reprise the event next year given how well it was received. Want to join the GC3SCA? Please contact Michele Jalbert or Michael Parr for information. Mark your calendars for the Technology Showcase that will be held in conjunction with the 14th Annual GC3 Innovators Roundtable on May 7 - 9, 2019 in Cincinnati, OH. Building on our experience from past years, we are planning the GC3 Technology Showcase on the afternoon of May 7, as well as a startup-related session during the Roundtable on May 8. We think that format provides both a focused experience and networking opportunities. We are seeking startup companies at all phases of development with innovative green chemistry technologies to participate in the next 2019 GC3 Technology Showcase. Stay tuned, we'll issue a call for applications in mid-December!